We have taken the difficult decision to close our shop in Tiverton. It will close today (3 March 2017). 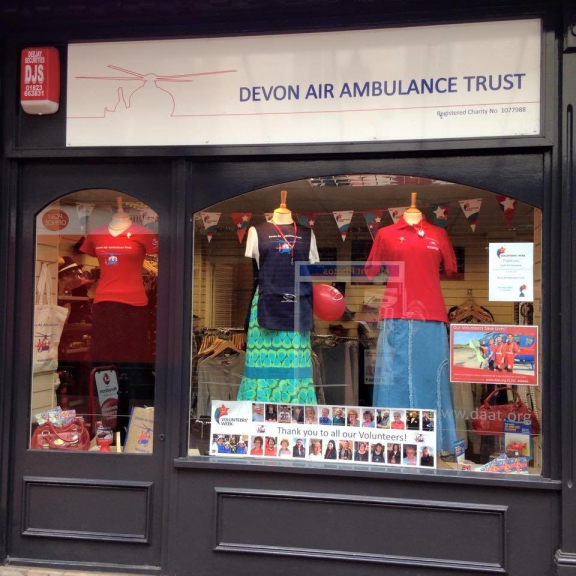 Our Devon Air Ambulance charity shops play an essential part in our fundraising and footprint in the community, allowing us to engage with and reach out to those that support us. Martin Bell, Retail Director explains “In the latter part of 2016 we amended the layout of the shop to our £3 £2 £1 discount model to see if this would make a difference to the income generation of the shop. This year the Charity is relocating its Barnstaple shop and at the end of 2016 opened a new shop in Bideford. There are also plans to open a further two shops this year.